Great news, Moms! Century 21 department stores in New York have changed their policy for breastfeeding. Employees at six of the company’s New York locations have been educated and will now instruct nursing mothers that they may breastfeed anywhere in the stores. 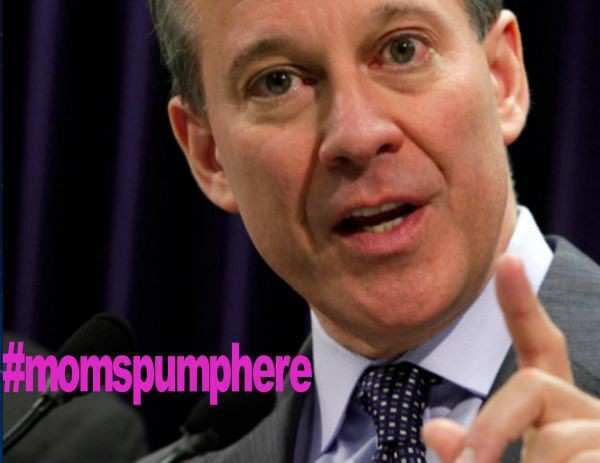 This is the result of New York State Attorney General Eric Schneiderman’s office launching a Civil Rights Bureau investigation after a complaint last July where an employee at the Cortlandt Street (Manhattan) store location told a nursing mother that she must not do so on the sales floor, but directed her to a fitting room. Under New York law, a mother may breastfeed her baby in any location where she otherwise has the right to be. Century 21 has agreed to this new policy which acknowledges this right and they have advised employees not to interfere. They’ve also paid $5,000 to a New York City program which provides breastfeeding support to new mothers.